Graphic features six colors repeated four times. 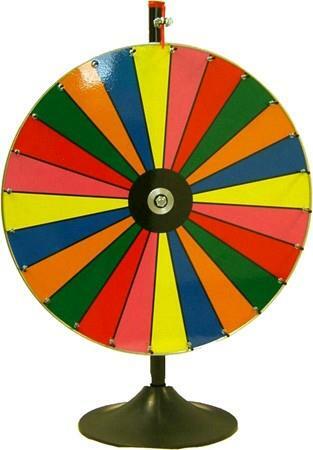 Adapt wheel to various uses by assigning prizes to colors. Dry erase surface coating permits erasable customizing. * Please call us with any questions about our game wheel of chance rentals in Columbia and Jefferson City MO.